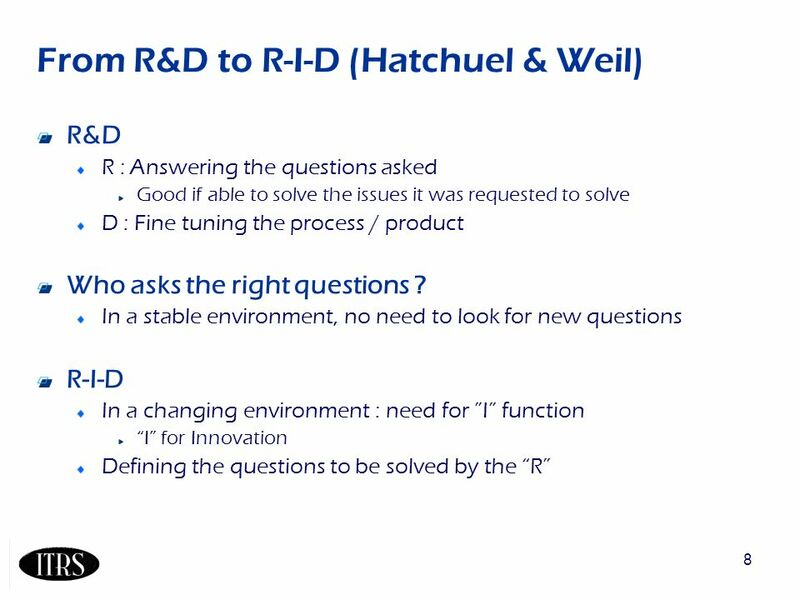 ITRS may in the future provide Research Guidance by defining better Innovation Questions for R&D ITRS Maastricht 04/07/06. 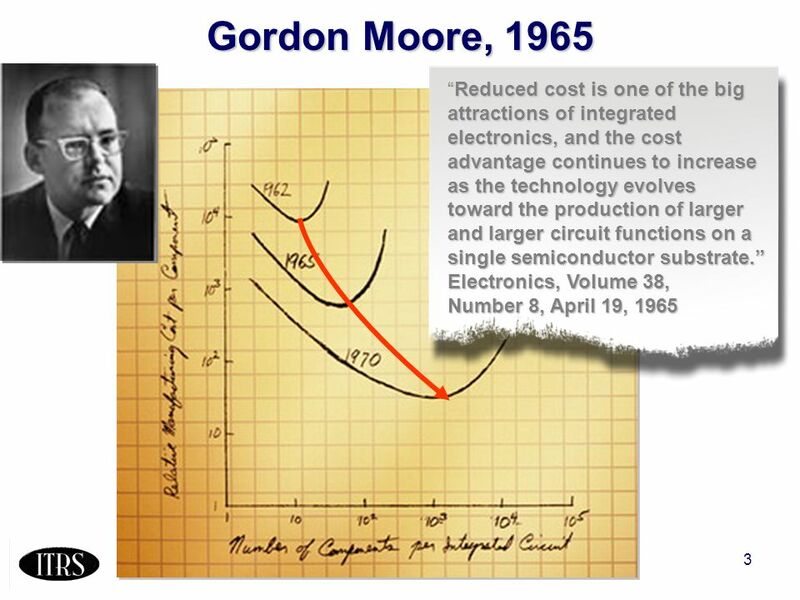 5 5 Food for thought Moores Law and its continuance is an economic rather than a technical statement (Bernard Meyerson, chief technologist for IBMs Systems & Technology Group). Clock frequency is not the driver of system performance. 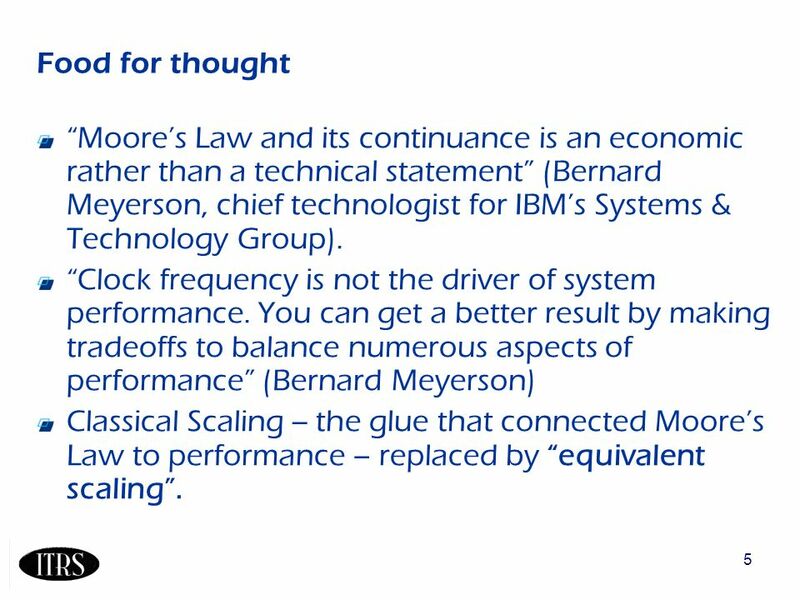 You can get a better result by making tradeoffs to balance numerous aspects of performance (Bernard Meyerson) Classical Scaling -- the glue that connected Moores Law to performance – replaced by equivalent scaling. 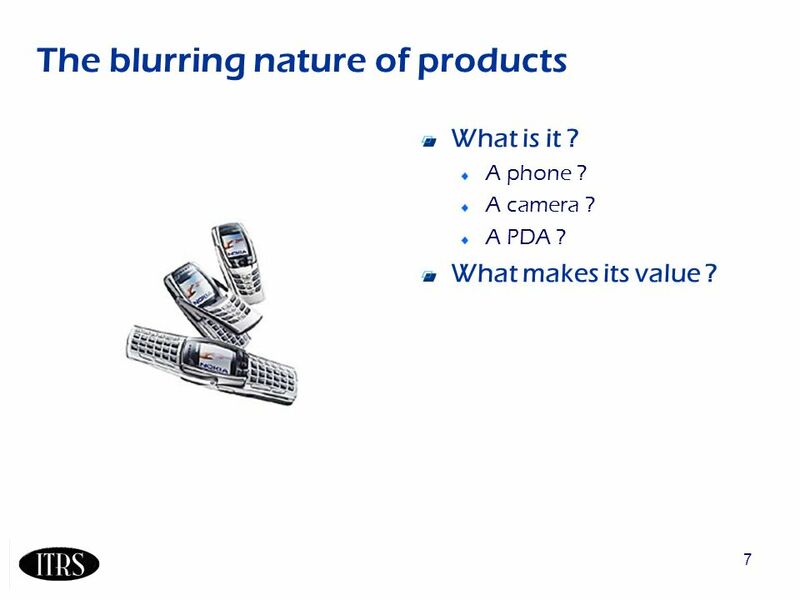 7 7 The blurring nature of products What is it ? A phone ? A camera ? A PDA ? What makes its value ? 10 10 How to achieve that ? Proposed Approach: assessment of the potential value return from research topics Possible paths Characterizing new non-scaling dimensions (More than Moore) by parameters that could be used for value assessment e.g. 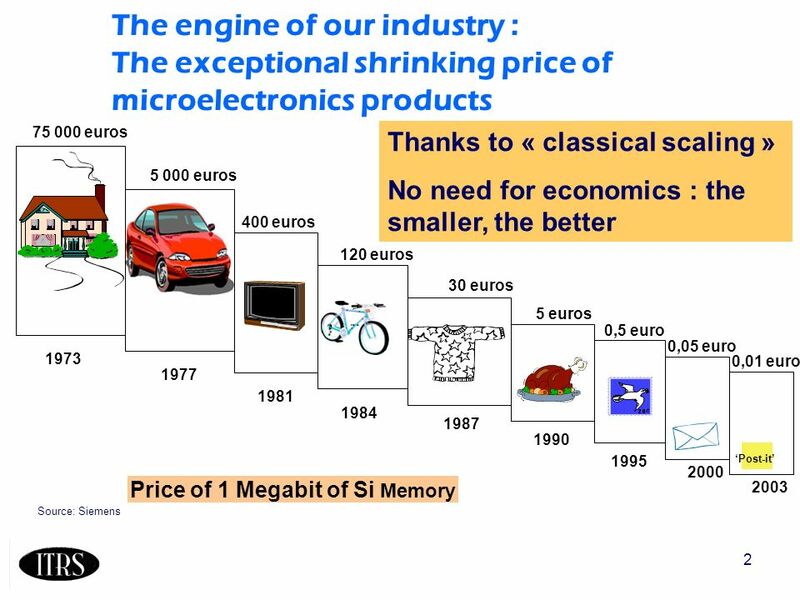 Inductors, MEMS/NEMS, … Seek feedback from pre-competitive consortia like SMT, IMEC, SELETE, etc. 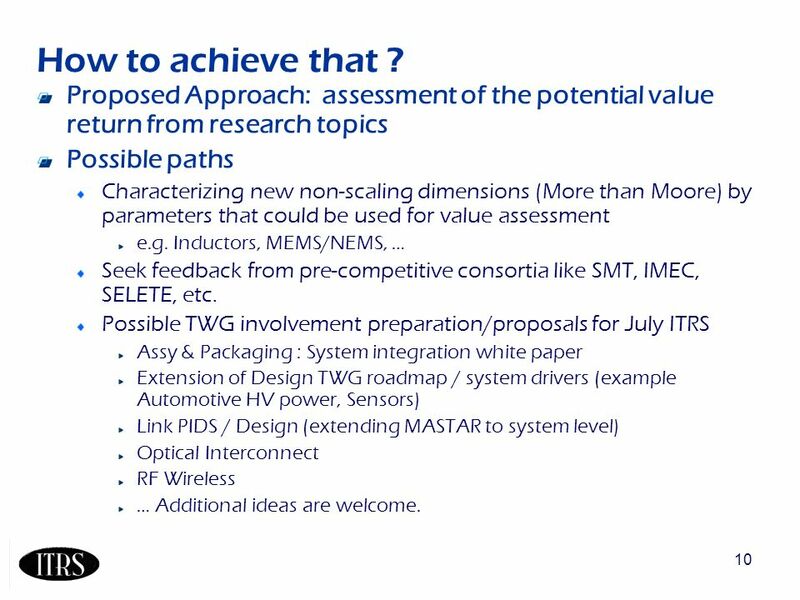 Possible TWG involvement preparation/proposals for July ITRS Assy & Packaging : System integration white paper Extension of Design TWG roadmap / system drivers (example Automotive HV power, Sensors) Link PIDS / Design (extending MASTAR to system level) Optical Interconnect RF Wireless … Additional ideas are welcome. 13 13 IRC Plenary (Misc. 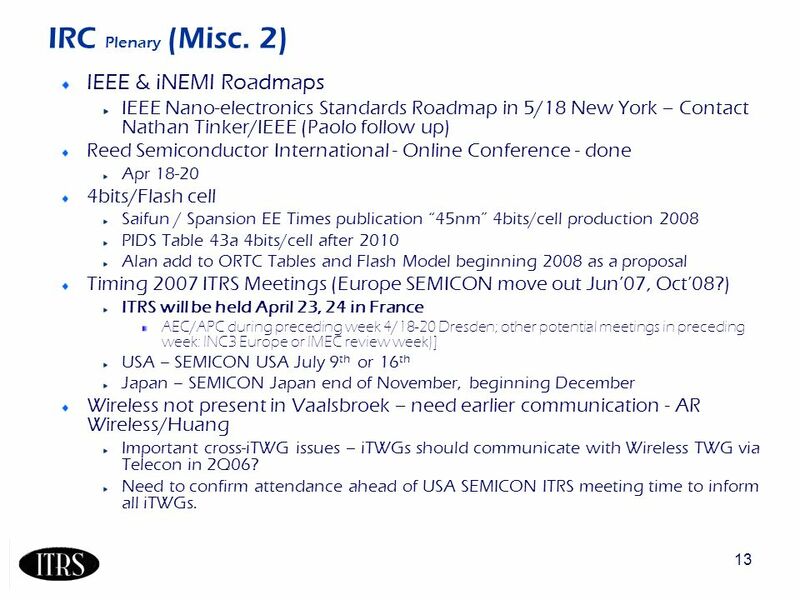 2) IEEE & iNEMI Roadmaps IEEE Nano-electronics Standards Roadmap in 5/18 New York – Contact Nathan Tinker/IEEE (Paolo follow up) Reed Semiconductor International - Online Conference - done Apr 18-20 4bits/Flash cell Saifun / Spansion EE Times publication 45nm 4bits/cell production 2008 PIDS Table 43a 4bits/cell after 2010 Alan add to ORTC Tables and Flash Model beginning 2008 as a proposal Timing 2007 ITRS Meetings (Europe SEMICON move out Jun07, Oct08?) 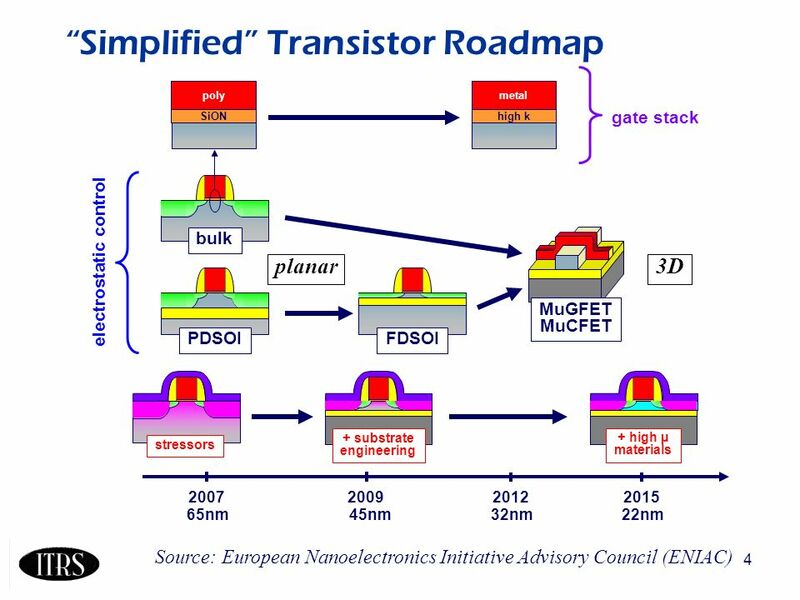 ITRS will be held April 23, 24 in France AEC/APC during preceding week 4/18-20 Dresden; other potential meetings in preceding week: INC3 Europe or IMEC review week)] USA – SEMICON USA July 9 th or 16 th Japan – SEMICON Japan end of November, beginning December Wireless not present in Vaalsbroek – need earlier communication - AR Wireless/Huang Important cross-iTWG issues – iTWGs should communicate with Wireless TWG via Telecon in 2Q06? Need to confirm attendance ahead of USA SEMICON ITRS meeting time to inform all iTWGs. 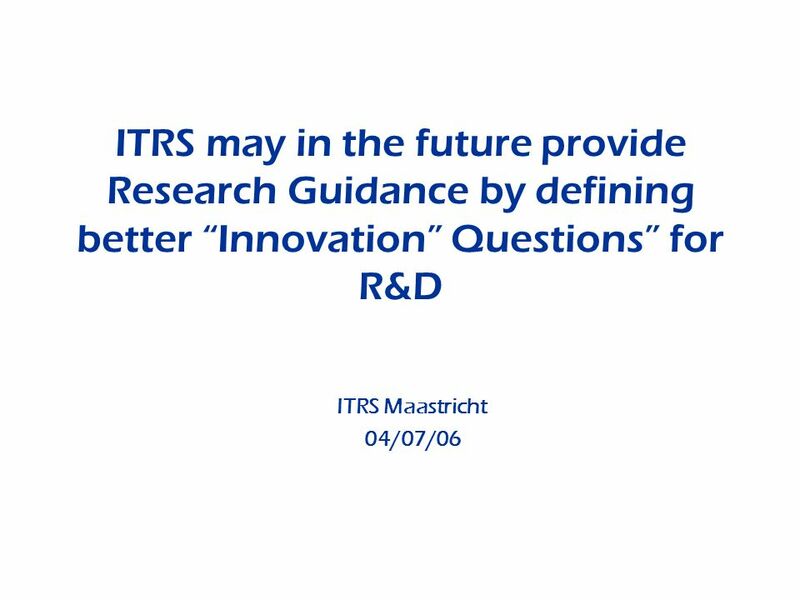 Download ppt "ITRS may in the future provide Research Guidance by defining better Innovation Questions for R&D ITRS Maastricht 04/07/06." IRC Roll-Out/Plenary 4/4 Technology Node identified by xx90 –Minimum Half-Pitch of Metal 1 of either DRAM or Logic –Logic node presently being represented. Work in Progress --- Not for Publication p. 1--PIDS Summary, Dec.04 PIDS Summary Peter M. Zeitzoff US Chair ITWG Meeting Tokyo, Japan November 30 - December. 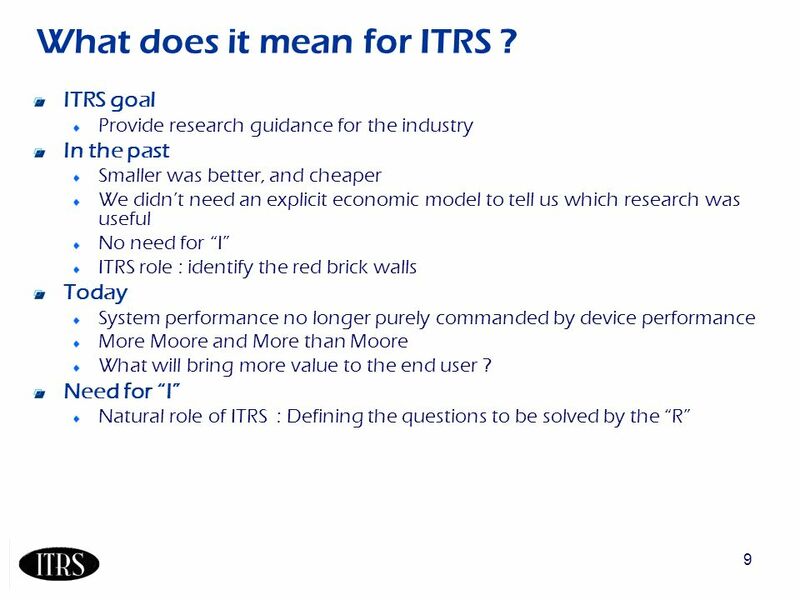 1 Assessment of the potential value return from research topics Follow-up actions ITRS Maastricht 04/07/06. 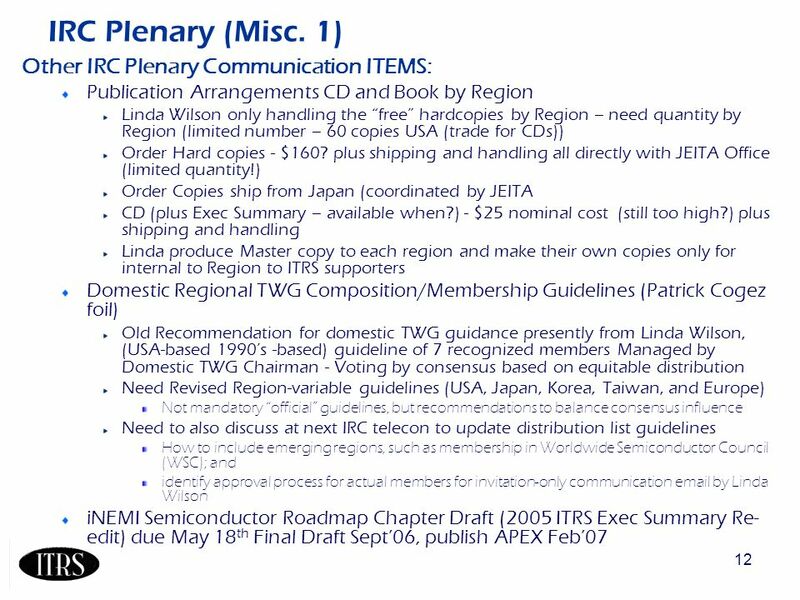 RF and AMS Technologies for Wireless Communications Working Group International Technology Roadmap for Semiconductors Radio Frequency and Analog/Mixed-Signal. Work in Progress --- Not for Publication PIDS Summary, Peter M. Zeitzoff US Chair ITWG Meeting Vaals, Netherlands April 6-7, 2005. More than Moore ITRS Summer Meeting 2008 July 14, 2008 San Francisco, CA. ITRS Spring Conference 2007 Annecy France International Technology Roadmap for Semiconductors Radio Frequency and Analog/Mixed-Signal Technologies. 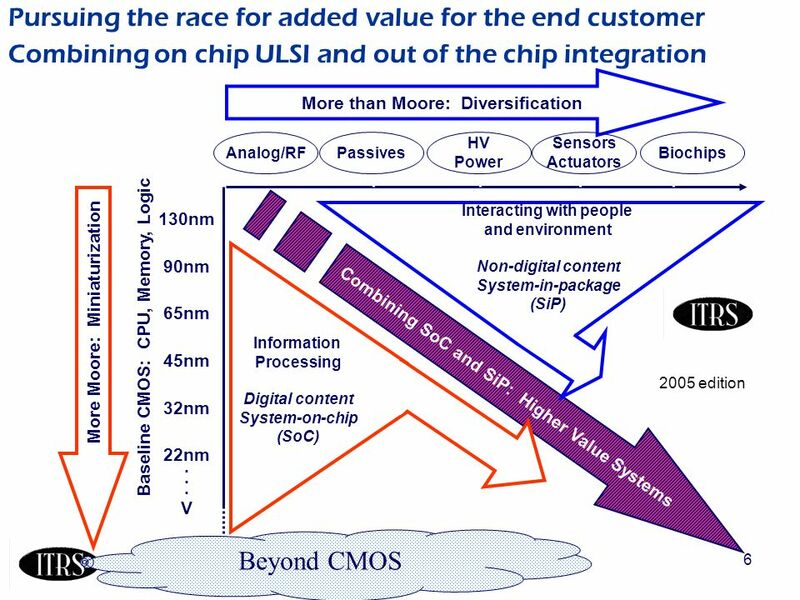 2005 ITRS Work in Progress – Do Not Publish 1 International Technology Roadmap for Semiconductors 2005 ITRS/ORTC Product Model Proposals For Public 07/13/05. Slide ITRS Spring Meeting Sponsored by Infineon Technologies Philips Semiconductors STMicroelectronics. Design TWG 2000 Update Plans for 2001 Hsinchu, Taiwan December 2000. 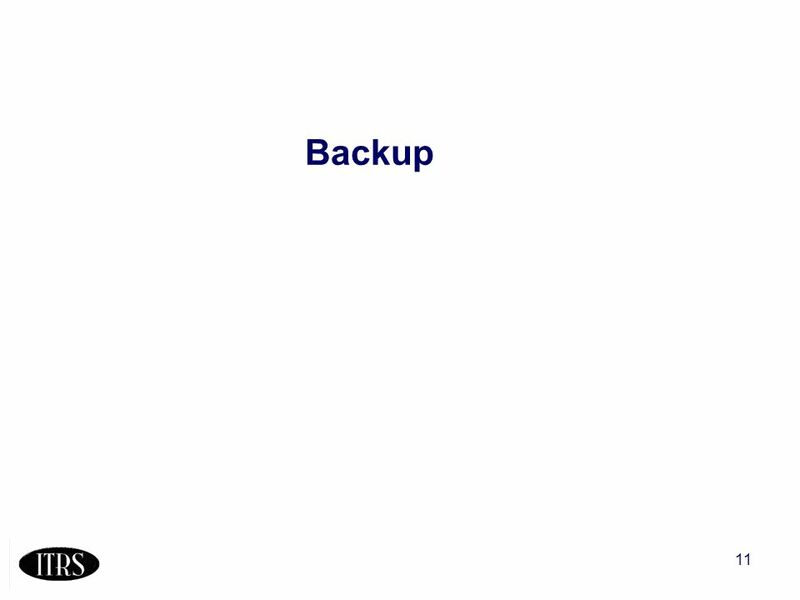 1 PIDS 7/1/01 18 July 2001 Work In Progress – Not for Publication P. Zeitzoff Contributors: J. Hutchby, P. Fang, G. Bourianoff, J. Chung, Y. Hokari, J.
ITRS Design ITWG 2009 1 Design and System Drivers - 2009 Worldwide Design ITWG Key actions / messages: 1.Software, system level design productivity critical.